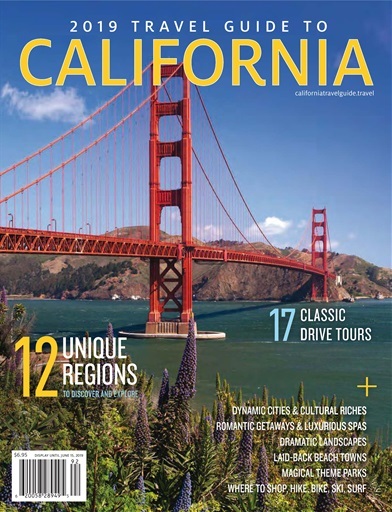 The 2019 Travel Guide to California is a comprehensive guide that provides travelers to the State with all of the information they need to enrich and enjoy their trip. The magazine includes features on 12 unique tourism regions within the state. 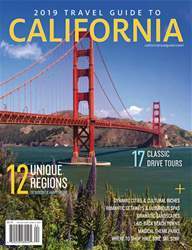 Editorial features include topics such as Theme Parks, Road Trips, Golf, Museums & Art, Cuisine, Shopping, Wine Country and many others. You'll receive 3 issues during a 1 year Globelite Travel Guides magazine subscription. You'll receive 3 issues during a 1 year Globelite Travel Guides magazine print subscription.